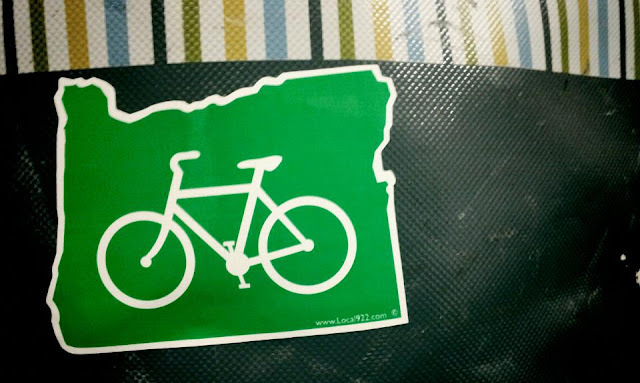 Some Oregon Love : Bikes. Rants. Adventures. Representing Oregon on my pannier. As good as the California cycling is, it still has a long way to go before it gets to the same fantastic level as Portland. And hey, I love the rain. And a shoutout to the kind jogger who yelled a a guy to get his dog out of the bike path. I tip my theoretical hat to you!